Welcome! The lobby of the Deranged L.A. Crimes theater is open! Grab a bucket of popcorn, some Milk Duds and a Coke and find a seat. 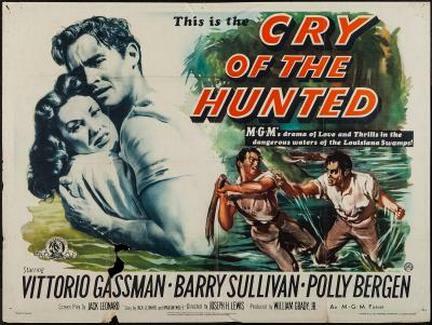 Tonight’s feature is CRY OF THE HUNTED, starring Vittorio Gassman, Barry Sullivan, and Polly Bergen. At the Branville State Penitentiary, Warden Keeley conveys to Lt. Tunner, the head of maximum security, the district attorney’s dissatisfaction with the way that Tunner is handling the Jory case. 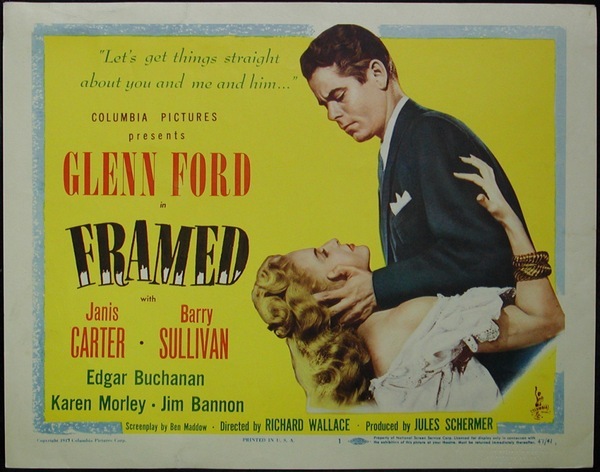 Jory, a Cajun convicted of robbery, has steadfastly refused to divulge the names of his partners in crime. Tunner visits Jory in solitary confinement, and when the prisoner attacks him, Tunner fights back and wins Jory’s respect. 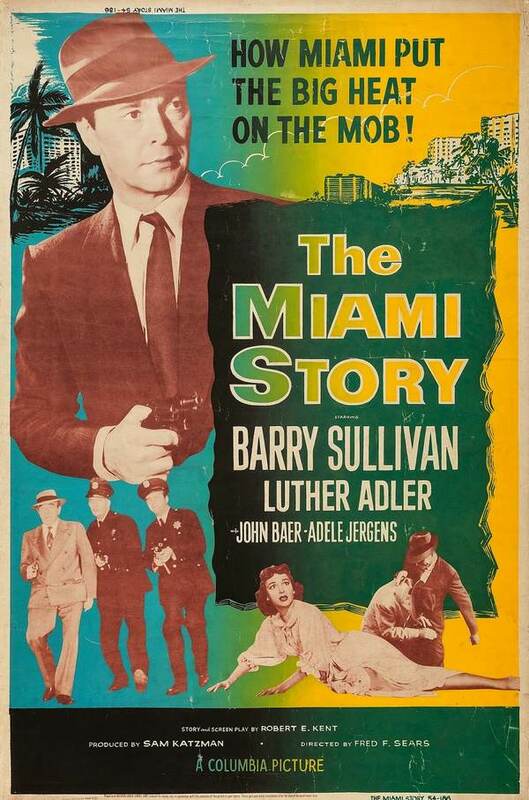 After Jory finally agrees to identify his accomplices, he is escorted to the district attorney’s office by Goodwin, the police officer who hungers for Tunner’s job. On the drive downtown, their car collides with another vehicle and Jory escapes. Certain that Jory will go home to Louisiana, the warden dispatches Tunner to bring him back.